One of the hallmarks of my definition of Functional Aging is that much of how you age depends on the choices you make throughout your lifetime. Chronic disease is the human predator of our industrialized world… not infectious disease, starvation, accidents, or as dinner for another species. We have never been in a more powerful position to direct the course of our own lifespan. Let’s flip the lens of chronic disease and make the buzz word “chronic health“. 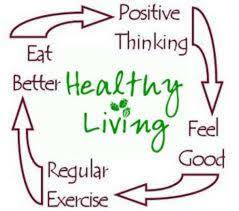 Let the story of your life speak to the healthy choices you made that led you to age in relative chronic wellness. Start with this list of 15 chronic conditions and see which ones you can minimize your risk of acquiring. Arthritis? In many cases, yes. Diabetes? Oh yeah. Heart disease and respiratory diseases, yes yes yes. There is so many ways you can keep these predators at bay simply by paying attention to what you put in your mouth and how much you move. It is really that simple! Brain health is tough, as many of the neurodegenerative diseases are still incurable and untreatable. But you can mitigate your risks! There is an increased risk of Parkinson’s and ALS from head trauma. Protect your melon! You are four times more likely to develop Alzheimer’s if you have Type 2 diabetes. Stop eating sugar and simple carbohydrates! You are two times less likely to develop Alzheimers if you exercise? Get moving! Practice mindfulness as way to combat depression and cognitive impairment. It’s not bunk! Gut and brain health are intimately connected. Take care of one and you take care of the other! Skin care is directly related to preventing disease and general health. Take care of it! Chronic health is the future of those people who are willing to forgo the perils of modern living- mass sugar consumption, unhealthy oil consumption, and a sedentary lifestyle. Great blog, so important, especially when you are elderly there are so many little things you can do to improve your health and help to encourage, as you put it, chronic wellness! Diet and gentle exercise are two of the best ways to promote good health, even if you’re mobility is limited there are still forms of exercise that you can take part in at any age, and with a personal alarm you know you’re safety is always ensured in case of an accident.